Why do you need to invest in the best calisthenics equipment for home when bodyweight exercises require nothing but your body? Yeah, a bit of floor space and a sturdy vertical surface will do when you are just starting out with calisthenics. But if you want to intensify your training and learn more advanced movements, you need the right equipment that will help you get the most out of your workouts. Today, we’ll talk about how calisthenics exercises go, why it’s beneficial to invest in essential calisthenics equipment, list down 5 pieces of calisthenics workout equipment, and discuss how to slowly build your fully-operational home gym. How Does a Typical Calisthenics Workout Go? Calisthenics is a form of exercise in which you train and strengthen your body using your own bodyweight. You might have seen advanced calisthenics practitioners perform gravity-defying exercises such as Front Levers and Muscle Ups. But even basic squats, dips, push-ups, pull-ups, and jumping jacks count as calisthenics, too. At its very core, calisthenics exercises help improve the control you have over your body to help you perform functional movements. A typical calisthenics workout involves presses and pulls that help you develop natural body strength. It works best with a progressive approach, which means the difficulty of the movements can be adjusted according to your fitness level. Instead of using weights or a machine, a particular movement can be made easier or more advanced by adjusting leverage or body position. 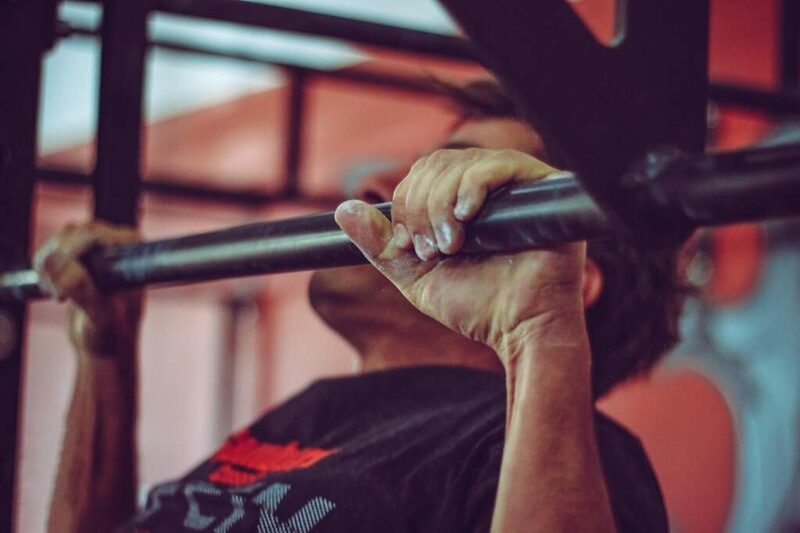 If you are a beginner who is unable to do a regular pull-up yet, you can start developing your strength with an easier movement such as a reverse pull-up, where you position your body underneath the bar while holding it and slowly pull yourself upward. Most of the exercises just require floor space with no additional equipment. However, if you’re up for a challenge, investing in calisthenics workout equipment can help take your training to the next level. If you’ve decided to focus on doing calisthenics exercises, paying for a regular gym membership is going to be a waste of money. While most commercial gyms have great machines and other exercise equipment, these are typically designed for cardio exercises, circuit training, and weight lifting. The equipment you need for calisthenics are for a specific set of skills and progressions. It doesn’t make sense to focus so much on using the stationary bike and treadmill if your goal is to do a diamond push-up, does it? Building your own calisthenics heaven right in the comforts of your own home does not even have to be expensive. You can easily adjust your setup based on the availability of budget and space. You don’t even have to buy everything all at once. Think of the value of what you’re going to get from having your own calisthenics gym at home! Save money on expensive gym memberships. Improve your performance with the right equipment that supports your progression. You can invite other fitness enthusiasts and enjoy a good calisthenics workout right in the comforts of your own home. Excited to build your own calisthenics home gym yet? Before you get started here are some things to think about to help you create a more practical and stimulating environment for your workouts. First, consider how much space you have for your equipment. Your approach to planning should be different when you only have a small amount of bedroom space versus when you have a whole garage. Think about how you’re going to use the space you have and what you can do with it structurally (eg. can you bolt fixtures?) in order to maximize your setup. Second, plan your purchases to maximize what you can do with your money. It’s easy to adjust the equipment in your calisthenics home gym depending on your budget. If you have limited resources, you can choose to invest key equipment that is essential to improving your performance. On the other hand, if you have a huge budget, you may choose to go all out. That said, there are many ways to save money when purchasing calisthenics equipment. Just make sure to always keep safety in mind and always purchase from reliable suppliers. Lastly, you should always think about your training goals. The equipment you purchase should help you with your progressions. Prioritize buying the equipment that will help you in the areas you want to focus on. Without further ado, here are some of the best calisthenics equipment for home. If you want to start building your home gym with something simple, try investing in a set of quality resistance bands first. They offer an effective and convenient way to build muscle strength, flexibility, and mobility. As the name suggests, resistance bands provide resistance to make bodyweight exercises more difficult and can also be used as an assistive aid when working on pull-ups or dips. For more advanced practitioners, flat loop bands can also provide assistance for progressions to movements such as human flags or back levers. It is best to purchase two or three bands with different resistance levels so you can use them for various exercise types. 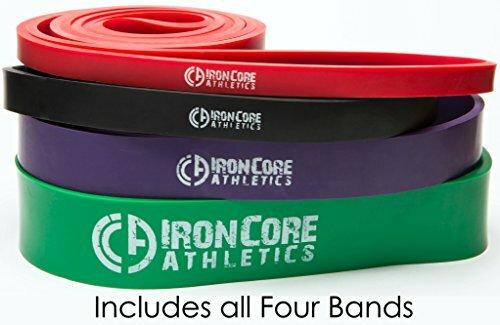 Try Ironcore Athletics pullup Assistance Bands, which comes in four different sizes and resistance levels. It’s a bit pricier than sets offered by other brands but it’s a good buy because it is made of high-quality material that won’t break and snap on your face in the middle of an exercise. If you only want to start with just one band, try to get your hands on the Rubberbanditz Single pullup Resistance Band, which offers a tension range of 40-80 lbs. 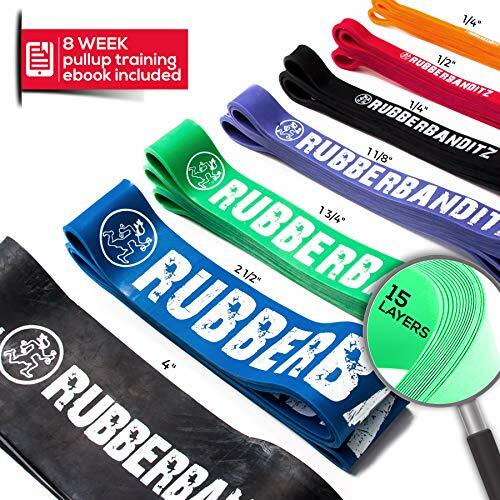 You can check out the Rubberbanditz website for videos that you can follow to add variations to your typical workout. Training for pullups is a great way to build upper body strength and back muscles. It’s the foundation of other movements such the kipping pull-ups and the box bar muscle ups. This is why you home calisthenics gym won’t be complete without a proper pull-up bar. Some calisthenics practitioners may even argue that a pullup bar is the most important exercise equipment you can purchase to help improve your calisthenics workouts. Buying a pullup bar, however, isn’t as straightforward as buying other home gym equipment. First, pull-up bars come in four varieties and you should consider how much space you have and how you intend to workout before choosing. Doorway pull-up bars – Doorway pull-up bars are convenient because they can be installed anywhere in your home without major carpentry work. Some models can even be used for exercises other than pull-ups. Free standing pull-up bars – A free standing pull-up bar is more flexible than a doorway pull-up bar, but it also doesn’t require you to put screws on your ceilings and walls. Some models are even portable and may easily be disassembled and packed if you want to bring it with you on your travels. 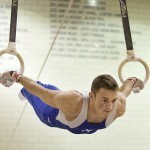 Ceiling-mounted pull-up bars – A ceiling-mounted pull-up bar can help you enjoy a safer and more intense workout. Among all the options, this kind can bear the heaviest load. The highest quality ceiling-mounted pull-up bars can carry up to 200 kilograms. 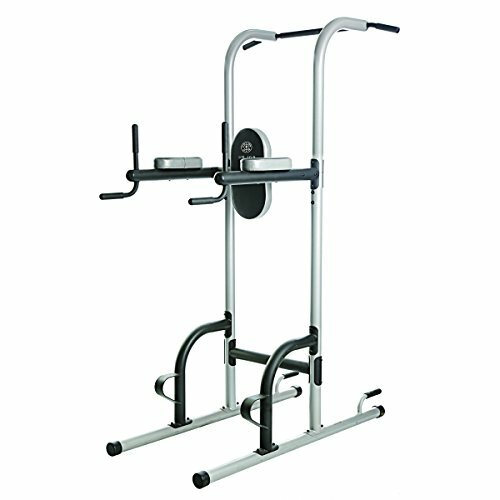 Wall-mounted pull-up bars – Like ceiling-mounted pull-up bars, wall-mounted pull-up bars are stable and can allow you to do intense exercises. Make sure that the bar extends from the wall to allow you to perform free-flowing movements. If you are just starting out with pull-ups, safety and stability should be your priority. Your main goal is to strengthen your muscles while learning how to be more comfortable with the movement. Try Gorilla Gym’s Gym1 Power Fitness Package which is specifically designed to help you master your first push up. It’s convenient to install and more stable than other options. This model also allows you to perform other exercises aside from pull-ups. 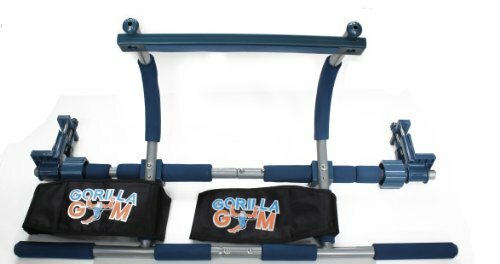 If you travel often or if you enjoy bringing your workouts outside your home, you might be interested in Gravity Fitness Portable Pull Up Rack. It’s collapsible, portable, and weighs only 19 kilograms. Don’t worry, it is safe, sturdy, and can carry up to 110 kilograms. What’s the best way to upgrade your workout and transform just about any activity into a resistance exercise? They are deceivingly simple but they can make your workouts more intense by adding extra bodyweight and resistance. You can use your weighted vests in practically all your bodyweight exercises. Imagine how much your muscles will develop with all the extra load you are carrying while doing all the rigorous movements. 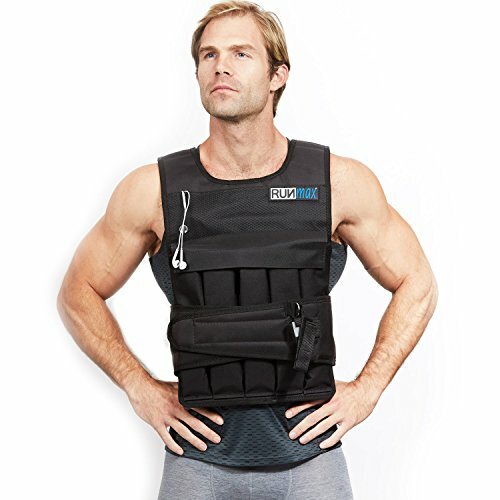 Before attempting to use weighted vests, you have to make sure that you actually know how to perform the exercises quickly and correctly, otherwise, you risk getting injured. 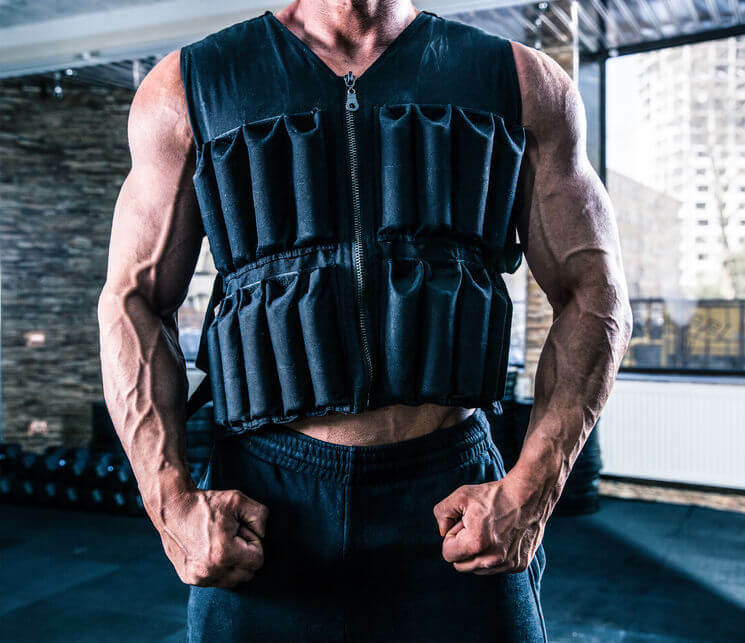 Ideally, you should have been training for at least 6 months before trying out weighted vests to ensure that you’ve already developed the necessary muscle strength. 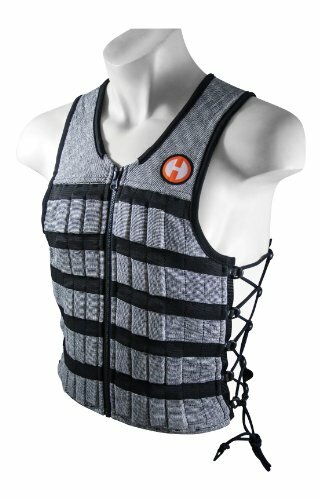 So, just what kind of weighted vests should you purchase? The Hyper Vest PRO Adjustable Vest is a pretty solid choice. It feels like a compression shirt that allows you to move more freely without feeling bulky. Each vest comes preloaded with 10 pounds of weight, but it can be easily adjusted according to your fitness level. If you are up for a bigger challenge, you might want to check out the RunMax Pro Weighted Vest. They may look compact but they can add up to 60 pounds of body weight to your exercises. Don’t worry, you can easily reduce the weight if you want a lighter workout. A power tower is useful exercise equipment that can help you with a variety of movements including pull-ups, chin-ups, dips, and core exercises. 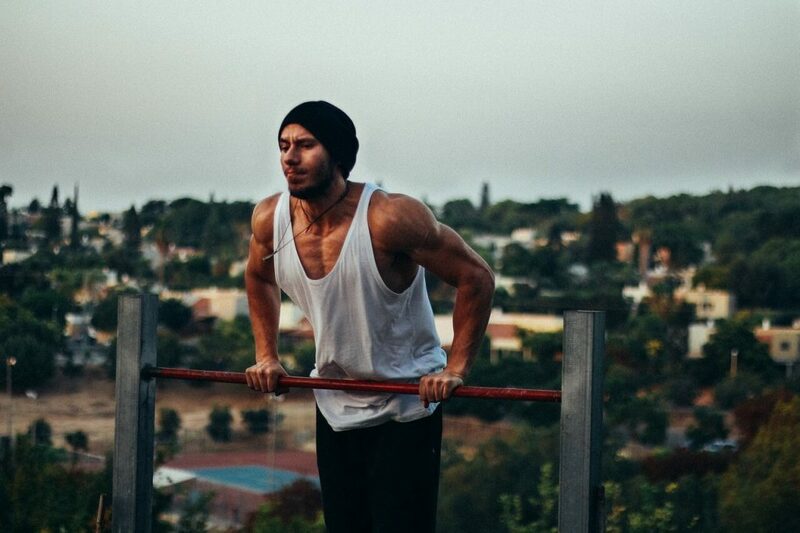 Both beginners and seasoned calisthenics athletes can benefit from using a tower because it can help with simple and complicated exercises in a progression. Really, you won’t get bored with this one because there are just so many things you can do. But you need space in your home in order to use a power tower efficiently. Power towers may seem pretty expensive but it can actually be pretty cost-efficient, especially if you choose the right model. Here are some specific power towers that are so worth checking out. 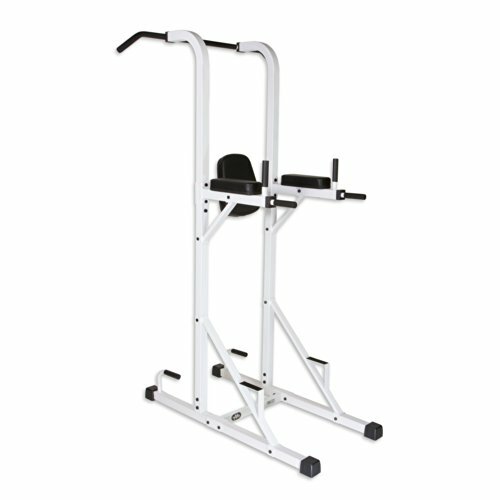 Try the XMark Fitness XM-4446 Power Tower. It’s a safe, sturdy and will allow you to do a variety of exercises conveniently. Because it is made from heavy-duty materials, it won’t shake as your exercises become more intense. Another great option is the Golds Gym XR 10.9 Power Tower. Because of its versatility, you can easily do a range of exercises that will train your core and body. Don’t worry, both models are pretty cost-effective! Gloves are a real gamechanger if you want to improve your performance in certain exercises. In addition to helping improve your grip, the right kind of gloves can also help you keep your hands safe from calluses and injury. However, choosing gloves can be really tricky. Choose the wrong pair and you’ll end up doing more damage to your hands. Some of the things you should analyze when purchasing a pair of gloves are the material, flexibility, and wrist support. Depending on your preference, you can choose gloves with fingers or gloves without fingers. 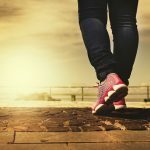 Both versions can help you reach your fitness goals. 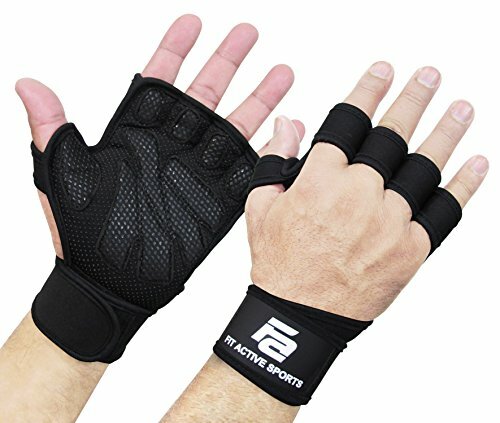 If you want protection for your full palm, try Fit Active Sports Weight Lifting Gloves. It covers your whole palm while still allowing you to move comfortably. It’s a great choice whether you are a beginner who is trying to things out for the first time or you just want to do something that will help improve your grip. 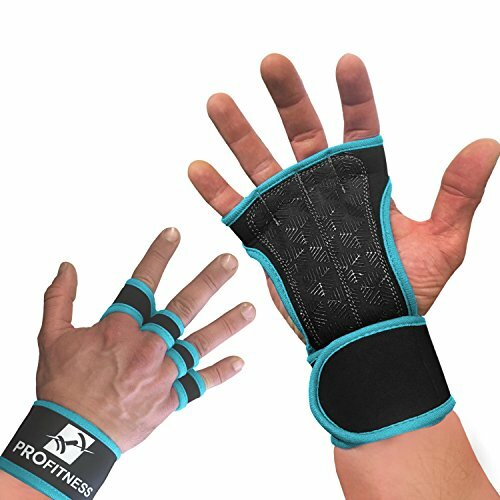 ProFitness Cross Training Gloves, on the other hand, are a good choice if you prefer fingerless gloves. They allow for more movement while still protecting your hands from calluses and possible abrasions. If you have a tight budget, don’t feel pressured to purchase everything all at once. Consider building your calisthenics home gym as a long-term project. It might actually even be more beneficial for you to make your purchases as your skill level improves instead of buying everything all at once. This way, you can focus on buying the equipment that supports the specific skills that you want to improve. Just make sure that you have space for everything you buy. Plan your layout and measure everything to make sure that your workout haven won’t be too cramped. Don’t forget to invite your fitness friends over once your home gym is fully operational! Remember, even if you have the best calisthenics home gym in the world, you won’t get the results you want if stay committed to the process. It won’t be easy to stick to all the workout, but it will be worth it once you see results. By the way, you might want to subscribe to the Garage Gym Power’s newsletter for the latest fitness trends and more tips on looking for the best calisthenics equipment for home.